Would you like to try it yourself? take part in a workshop painting? It is amazing what people make, create. I’m working in the kantine of the former Douwe Egberts factory. A very famous brand in the Netherlands. You can come with your own groupe, but also participate in a walk-in workshop. 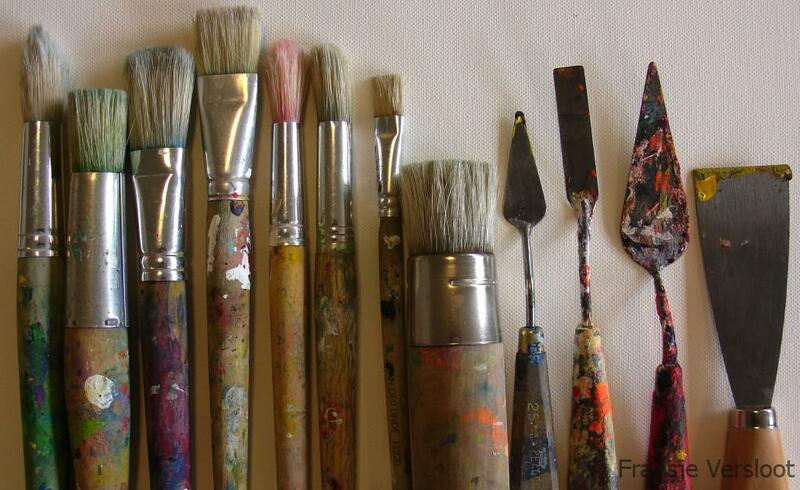 I will show you how to paint with brushes, knifes scalves etc. A workshop takes about 2 hours. It costs euro 25,– pp ( ex 21% VAT), including all materials. 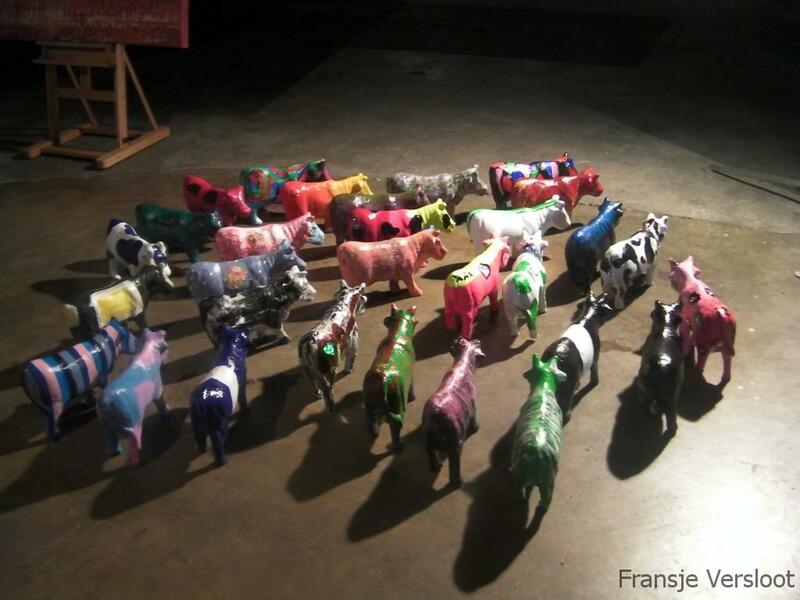 Wpould you like to paint a cow, or decorate it with different materials? . The cows are made op pap mache.Costs € 35,– per person, ex 21% vat. .More information, send an email of give me a call (31) 6 10 323 891.